The Kershaw Zero Tolerance 0350ST knife is a tad bit smaller and lighter than the full blown model 0300. It has a partially serrated S30V blade and a G-10 handle that is textured on both sides. This knife is assisted opening and can be opened using either the ambidextrous thumbstuds or the blade protrusion on the back. The thumbstuds and the protrusion are enlarged a little so you can easily open the knife even when you are wearing gloves. A tungsten dlc coating is on the blade that helps with reducing corrosion and friction drag. 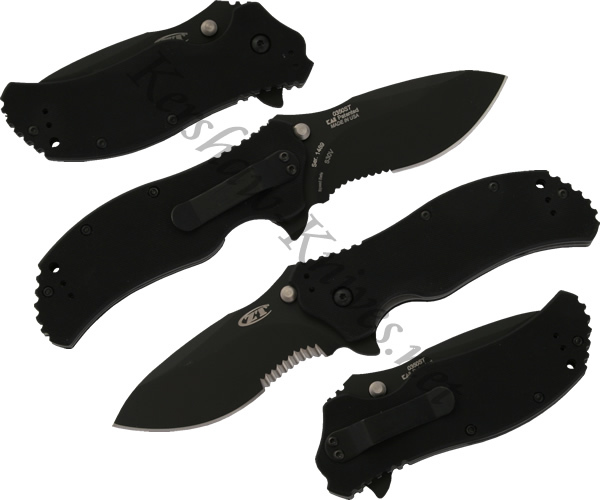 The Kershaw Zero Tolerance 0350ST knfie is MADE IN THE USA.